Russian floors have started off Tuesday trading slightly lower, with global floors cautious over the US Federal Reserve’s two-day policy meeting set to kick off later in the day. Monday’s session saw Russian stocks trading in the black, with the MICEX advancing 1.97 percent to close at 1325.27 and the RTS up 1.56 percent to 1313.31. 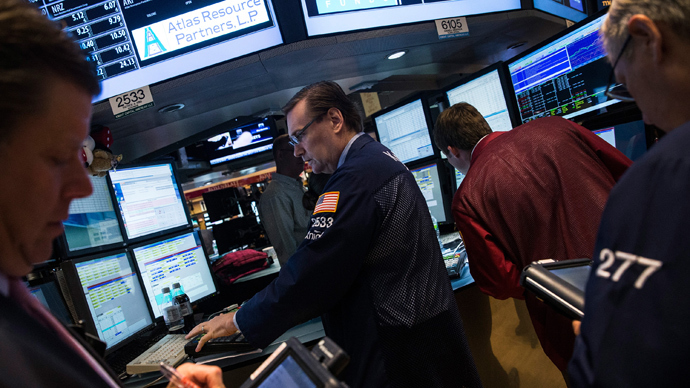 Gains by foreign markets and rising oil prices saw Russian stocks end the day higher. EU traders are also awaiting announcements from the key US Fed meeting, and are closely watching the G8 summit in Northern Ireland. Finance ministers and central bankers from the G8 are holding the second day of their two-day summit on Tuesday. European stocks made gains on Monday, with the UK's FTSE 100 up 0.35 percent to 6,330.49, Germany's DAX 30 up 1.08 percent to 8,215.7 and the French CAC 40 up 1.54 percent to 3,863.66. On Tuesday, investors will be watching for an official UK report on consumer price inflation, which accounts for the majority of overall inflation. Also on Tuesday, Bank of England policymakers will speak on the country’s inflationary and economic outlook before the UK Treasury Committee. The ZEW Institute will also release a hotly anticipated report on German economic sentiment, a leading indicator of economic health, as well as data on economic sentiment in the wider eurozone, Investing.com reported. 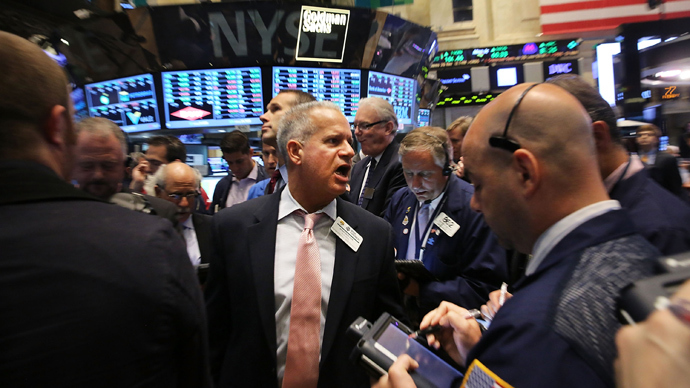 Monday trading on Wall Street was volatile ahead of the two-day Fed meeting. 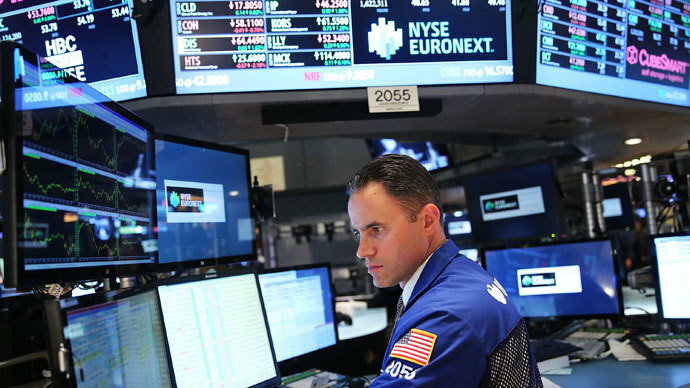 The Dow Jones Industrial Average added 0.7 percent to 15,179.85, the Nasdaq advanced 0.8 percent to 3,452.13 and the S&P 500 climbed 0.8 percent to 1,639.04. On Tuesday, investors will await an official US update on building permits, housing starts and consumer price inflation. Asian stocks mostly traded lower Tuesday on investor uncertainty over the continuation of the US Fed’s stimulus program. Japan’s Nikkei 225 slipped 0.7 percent on Tuesday, and Hong Kong’s Hang Seng fell 0.6 percent. The Shanghai Composite saw a 0.36 percent drop after China’s National Bureau of Statistics released an update on new home prices, which rose 6 percent in May. 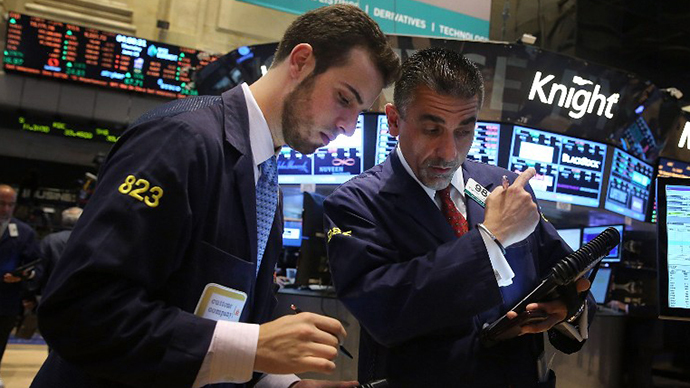 Australia’s S&P/ASX200 shed 0.96 percent, and South Korea’s KOSPI edged up 0.14 percent. Oil is slightly lower on Tuesday. Brent is currently down 0.01 percent to $105.40, while WTI is 0.1 percent lower at $97.80.